The landscape of scientific research and scientific publishing is changing faster than ever. The quantity of published research across the globe is at an unprecedented high, and the public appetite to learn about new breakthroughs and discoveries is unquenchable. With this background, JPhys+ offers a new way to enhance this process of discovery, and to work with the scientific community to promote the dissemination and understanding of research across a broad range of disciplines. JPhys+ is brought to you by the Journal of Physics series, a major group of journals from IOP Publishing that has been an integral part of the research community for almost 50 years. The five journals encompass all of the core physics fields, as well as interdisciplinary subjects like biophysics and physical chemistry. in depth articles on research, publishing and the physics community. We will also be bringing you exclusive updates from leading scientific conferences, public-interest pieces, and more. To keep right up to date with JPhys+, you can subscribe to weekly bulletins of the latest blogs on our signup page. But JPhys+ isn’t just a news blog. 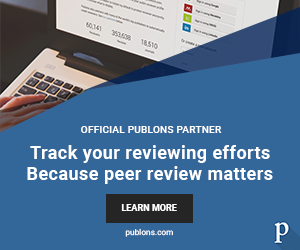 We will be actively engaging with the scientific community – whether it’s giving readers an orthogonal viewpoint on a paper from a referee, or interviewing a prize-winner at a conference. We’re even opening up our pages to you, our readers. If you want to write a guest blog for JPhys+ on a timely topic or event, email us at jphysplus@iop.org. The blog is edited by a team of publishers and publishing editors with a broad range of expertise in scientific publishing. Find out more about us on the meet the editors page, and be sure to come and chat to us at any of the conferences we’re attending. We’ll be updating the blog daily and developing it to meet your needs – so bookmark JPhys+ now so that you can catch up on the world of physics next time you take a break. And don’t forget you can sign up to receive a weekly digest of everything that’s new on the blog.